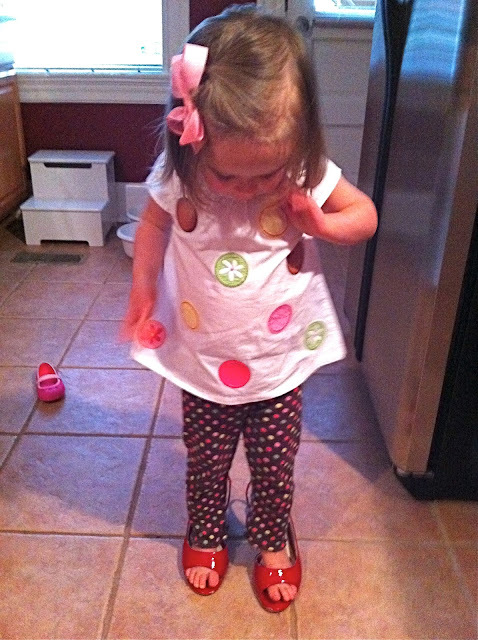 I snapped this phone pic last night and sent it to my mom and sister with the caption, "I wear mama's shoes." Which of course is what Mary Clare kept repeating as she clomped around the kitchen. All of 30 seconds passed before the phone rang. It was my sister. With nary a hello or how are you, she got straight to her point. "Well, someone should be wearing your shoes, because you sure as hell can't right now. Okay, that's all I needed. Gotta go." Ah, Sherri. How my shoes, feet and I appreciate your concern. Come on. You set that one up too well. Had to know Sherri would bite.